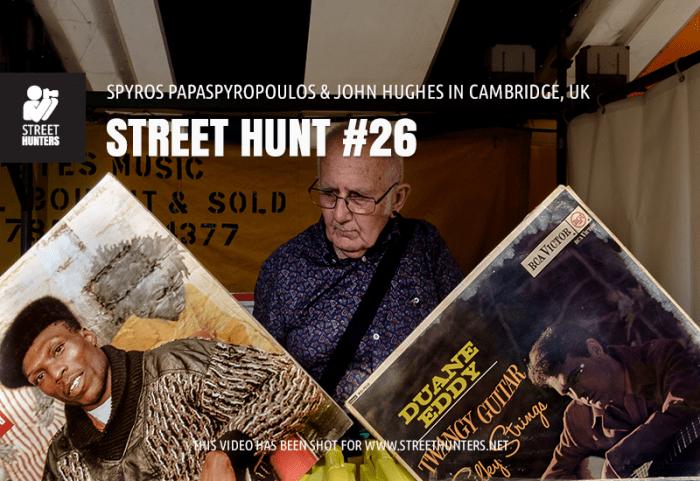 Home Tags Posts tagged with "Street Photography video"
Today we present you with another Street Hunt video! It is the 2nd one in just one month and this time we shot in my home town of Rethymno. I am not alone in this Street Hunt either. I have the very interesting and talented Anastasia Nazare shooting alongside me. This is the first time she has shared her photos online, since she is a very private street photographer. She uses a Ricoh GR and at night she rocks the flash. This video was shot during the night of Tsiknopempti. I have mentioned this night in the past, and I shot Tsiknopempti street hunt videos in 2014 and 2015. . The veteran Streethunters.net Readers might remember what this day is all about in Greece, but I would like to explain about this day for our newer Readers that might have not heard of this before. One month ago, I met Yiannis Yiasaris in Thessaloniki, Greece. Thessaloniki is the largest city in the Northern part of the country, and is a beautiful place that is focused on Culture and the Arts. Yiannis is a Greek Street Photographer currently living in Melbourne, Australia. He enjoys shooting all over the world (Tokyo, London, Greece and more!). If you follow our groups and Facebook, Flickr or GooglePlus you probably have seen his work before. He is a great Street Photographer and a wonderful person. He showed me around town and I have to say, I had the time of my life! Before I continue, I would like to point something out. In the video you will see, I keep on pronouncing Yiannis’ surname wrong. The intonation should be on the second “a” not the first “a” in “Yiasaris”. So before I went to Thessaloniki, Yiannis and myself talked about filming a Street Hunt there. He liked the idea so that is what we did on the second day of my visit.